Dr. Cora graduated the medical school from Emory University. She did her internship at the Emory University and completed her residency program at Loma Linda University. She is specialized in Radiology and board certified in Radiology. 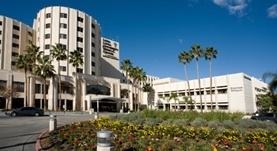 Dr. Cora has been in practice for more than 11 years and is affiliated with Loma Linda University Medical Center. During her career, she has also contributed to 2 publications of medical interest. Dr. Cherie Cora has contributed to 2 publications. Value of cerebral microhemorrhages detected with susceptibility-weighted MR Imaging for prediction of long-term outcome in children with nonaccidental trauma. Colbert, C.A., Holshouser, B.A., Aaen, G.S., Sheridan, C., Oyoyo, U., Kido, D., Ashwal, S.; Radiology. 2010 Sep.